Ellen and Sophia, though twins, have a different outlook on life. Sophia is quick to forgive and find the good in others, but Ellen is held captive by her own stubborn will. In her mind the sunniest days seem riddled with clouds. But when faced with the greatest challenge of her life, Ellen finally understands the true meaning of friendship. From Arin McDermott of Richmond, Virginia on 1/12/2013 . This is a great book if you have little girls. It is a beautiful story of two sisters, their choices and consequences, and their journey to the heart of God. "It is much to be regretted in the present day that the taste for that which is most beautiful is now so rarely cultivated and that society is hence deprived, even religious society, of that beauty which literature only is capable of bestowing." A quote from the book as I could not have said it better myself. 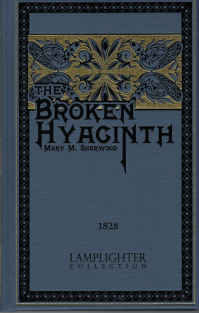 This book is a true gem in the Lamplighter series and one I will return to again and again.